Distillation is the most widely used separation process in the petroleum industry. 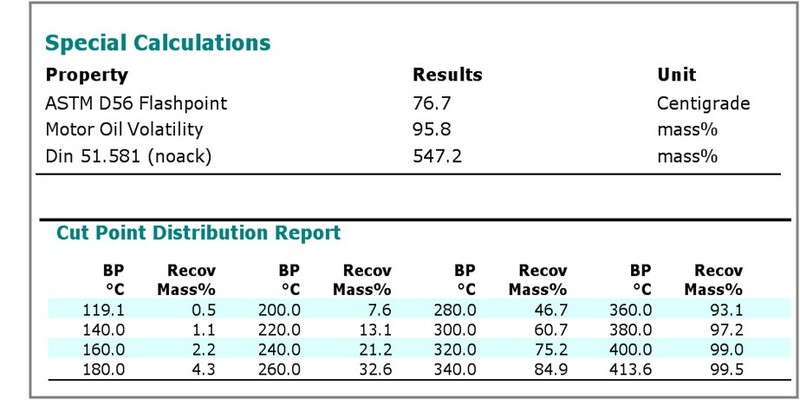 Knowledge of the boiling point distribution of crude oils and finished products is essential for quality control, environmental compliance and refinery process control. 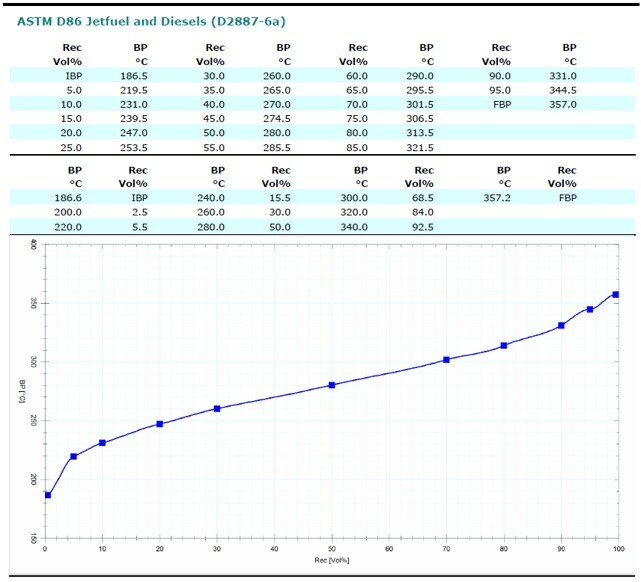 Conventional distillation tests such as ASTM D86, D1160, D2892 and D5236 determine the true boiling point distribution of crude oils and their products, but are both time consuming and labor intensive. 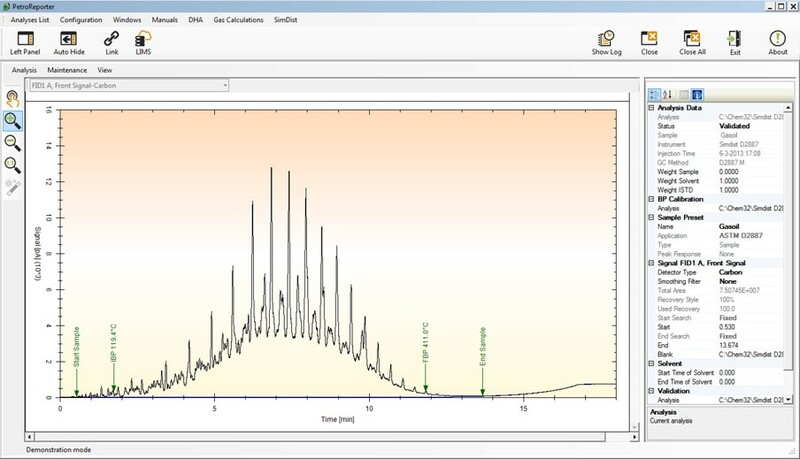 Simulated distillation is a gas chromatographic (GC) technique used to determine the boiling point distribution of crude oils and finished products. The hydrocarbon streams are injected onto a GC column and separated according to boiling point using a linear temperature ramp. A calibration sample consisting of a series of n-alkanes of known boiling point is used to construct a boiling point table relating retention time to both carbon number and boiling point. 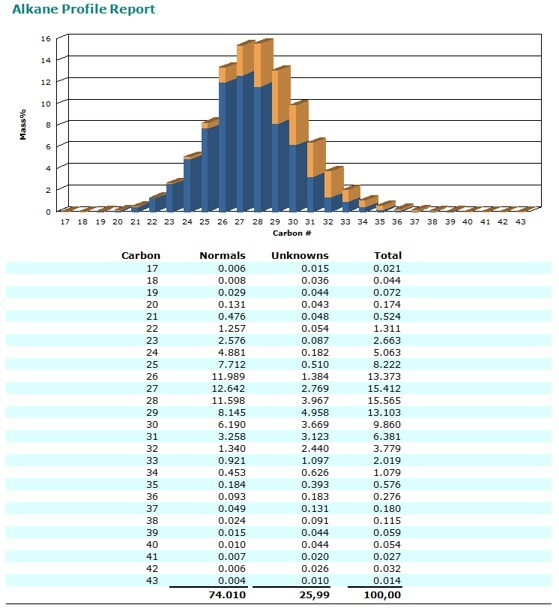 From this table the boiling point and carbon number distribution of a mixture may be determined. Many different industry standard methods exist for different streams with different profiles, but the general principles are identical. Fully automated data processing, report generation and result export.